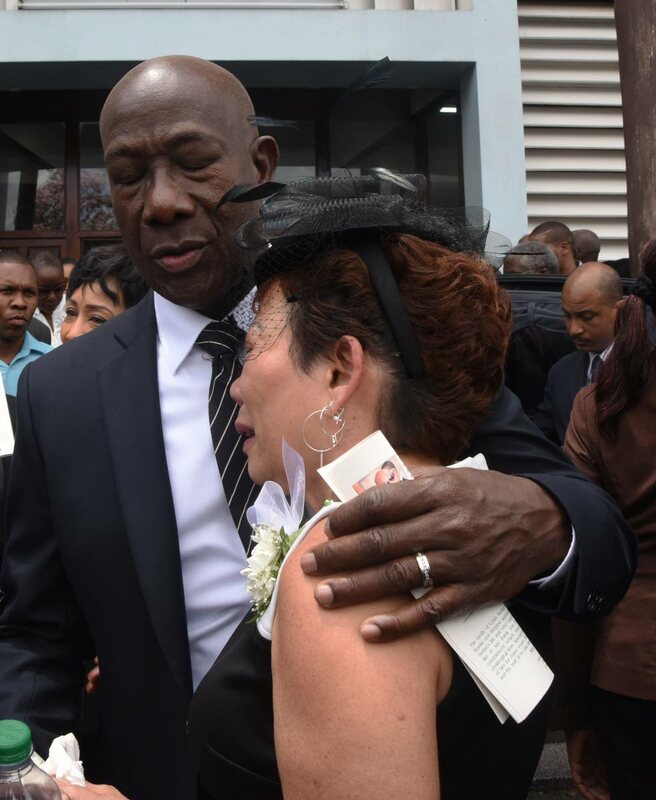 The Prime Minister and his wife Sharon were among hundreds of mourners who packed the Church of the Assumption in Maraval to say farewell to businessman and bandleader Louis Stefan Monteil last Friday morning. 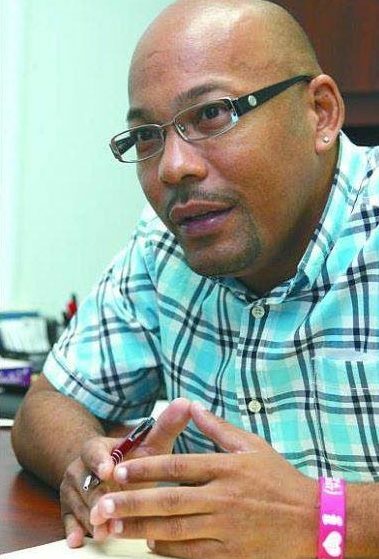 Monteil, 46, the CEO of Flavorite Foods Ltd and founder of Carnival band Yuma, died of a heart attack last Monday at St Clair Medical Centre, Port of Spain. He was the son of former Clico Investment Bank chairman Andre Monteil and Sherlyn Monteil, and the brother of Kieran and Dr Sasha Monteil. The mourners represented a wide cross-section of TT, including government ministers past and present, members of the diplomatic corps, the business community, a large contingent of the cultural fraternity, members of sporting bodies and of course family and close friends. Burkett spoke of Monteil’s passion for football, from his days on the Fatima College first XI, through his football scholarship at Lindsey Wilson College in Kentucky, to playing with his boys in "rehab" every day, to his beloved Tottenham Hotspurs, all the way to the arguments he had – with anyone who dared – whether France was the best team in the world. Burkett said after the last World Cup Monteil got his revenge when France again won the title. “He was truly a passionate student of the game, if only from the sidelines. Even though he played on many teams, one of his proudest moments was when he established his Savant Hotspur Team, a side we saw rise from humble beginnings, bringing members especially from his Maraval community, who he gave a chance to play at the highest level,” said Burkett. This drew laughter from the congregation. On Monteil’s return from studying abroad, he got into brand marketing. Despite never tasting a drop of alcohol, Burkett said, Monteil chose to work at a local rum company, "and just like everything else, he set about doing things his way." “How someone who didn’t drink alcohol, eat ice-cream or play any instrument could properly sell any of these things? "The answer was simply because Stefan believed that marketing was more than just putting on a T-shirt and drinking the most alcohol. It was about understanding the deepest desires, wants and needs of people and how one can tap into that through the products he managed,” said Burkett. He added that as CEO of Flavorite, Monteil loved that ice-cream brought happiness to all and it was his vision to spread joy to as many people as possible. As an avid lover of TT culture, it was this love that inspired another vision of Monteil’s when he created the mas band Yuma (Young Upwardly Mobile Adults). It was intended as as an avenue through which young people could be associated with positive energy. Monteil took this mas brand to St Lucia, Jamaica and Miami in partnerships in those countries, with his Exodus now being the largest band in Jamaica. With Yuma set to celebrate ten years in the business, Burkett said: “Last Thursday, I had the opportunity to share the last working day in the life of Stefan, and he huddled the team to a meeting to reflect on the reviews and execution of the band in 2019 and to discuss plans for 2020 going forward. We deliberated and went through many concepts, with the usual heated Stefan discussions, but before leaving for home that evening, we all agreed on the theme for 2020." Soca singer Destra Garcia then sang a moving version of Whitney Houston’s I Will Always Love You, almost choking with emotion towards the end. Just before the recessional, Fatima College old boys gathered at the altar to sing the school song, to applause. Then, to the strains of Lyrikal’s Cloud Nine, Monteil’s coffin was wheeled out of the church. He was buried at the Lapeyrouse Cemetery. 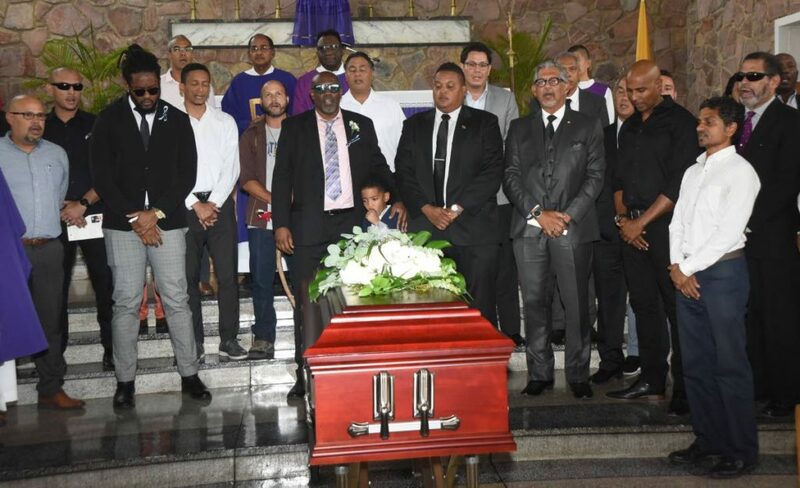 Monteil leaves to mourn his parents, daughter, siblings, partner Carly Yoshiko Ogaki and the Monteil, Bovell, Ghent, Archibald, Joseph, Henderson, Kuei Tung, Salandy, Superville, Vieira, Weekes, Lee Sing, Lee Kong, Okaki and Stewart families. Reply to "Stefan, a joyful soul"